Here, you'll discover what it's like to be a real cat in the wild. Whether you're a warrior or a medicine cat, your adventures will be testing your skills and keeping you on your paws. Do you have what it takes to be a Warrior? Humor : ya. yup. mm hm. So hows ur life goin? silverpaw couldnt help herself, she whimpered. she wanted to fight back but the past nights had taken her strength away. so she let herself be dragged wherever she was going. hoping that she and darkpaw werent going to be killed. she twined her tial with darkpaw's. and wished they had the strength to fight. Job/hobbies : taking care of my clan. i have a loyal, but sometimes annoying, apprentice too. 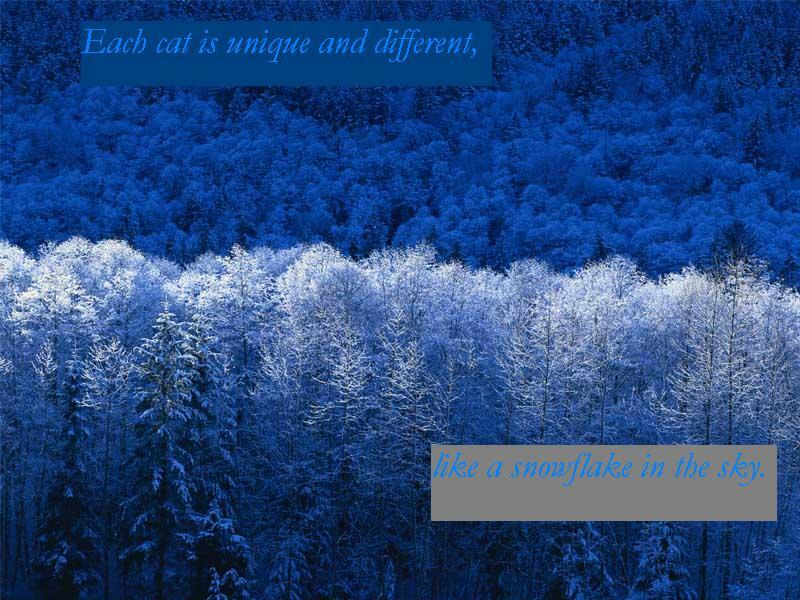 Humor : shadowclan cats dont have much humor. Mossstar followed his apprentices fear scent and went into the cave, he hid until he saw another cat, by its scent it was a rouge. Then he pounced onto the rouge yowling, "Get out of here! ", to the frightened apprentices. but silverpaw didnt listen. she summoned all her strength and clawed misttails face. silverpaw looked at darkpaw and saw intense anger in his eyes. come on darkpaw lets finish this fight. she mewed. silverpaw fell back a little. misttail was strong! how could they ever fend hiim off? "What were you doing out here in the first place Darkpaw?! And you," he snarled as he turned to Silverpaw, "Your on Shadowclan territory! Your leader will know about this! Now get off Shadowclan territory! And Darkpaw, you are not training for three days, you will just look after the elders, and if you leave the camp you have to have me or another warrior with you. Silverpaw, get off our territory and Darkpaw, come on." Mossstar snarled. silverpaw almost wished mossstar hadnt come. she wore a sad look on her face as she limped out of the cave. then she turned back. i love you darkpaw. she mewed with all her heart. then she sped off. silverpaw skidded to a halt at the border, her eyes glazed with sadness. she wanted to see darkpaw again, but how could she do that without mossstar knowing? it was a risk, but it was a risk she would have to take.